Users have experienced many issues with their iPhone 5 or 5s since the update of new iOS. But, one of the newest issues that each iPhone 6 or 6s user is experiencing is their iPhone won't turn on past Apple logo. Here, users' iPhone gets stuck on Apple logo. But to be honest, iPhones such as iPhone 7/7 Plus/8/8 Plus/X getting stuck is not a new thing and therefore there is no need to worry. But the latest iPhone Xs/Xs Max/Xr users are seeing this issue for the first time and are worried. We have some solutions that can help you if your iPhone won't turn on stuck on Apple logo. 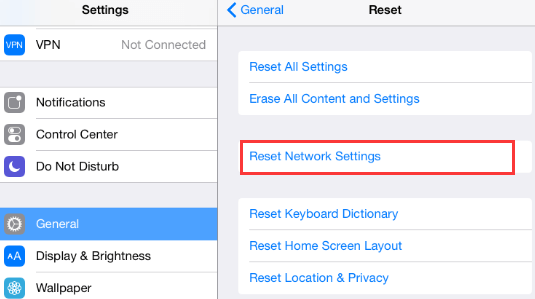 Here are some solutions that can be used if your iPhone stuck on apple logo after reset settings. Charging the iPhone seems to be logical here. This is because if your iPhone does not have enough charging, then there are chances for you to complaint "my iPhone 5 won't turn on past the Apple logo." Well, all you need to do is charge your phone for a while. Have some patience and let it get charged for at least 30 minutes. Charging the iPhone will probably get your issue solved. If you are one of the users complaining "my iPhone is stuck on the Apple logo," then force restarting the device might solve your issue. In order to restart your iPhone 6 or below versions, you need to press the 'Home' and 'Sleep/Wake' buttons simultaneously till the apple logo does not appear over your iPhone's screen. 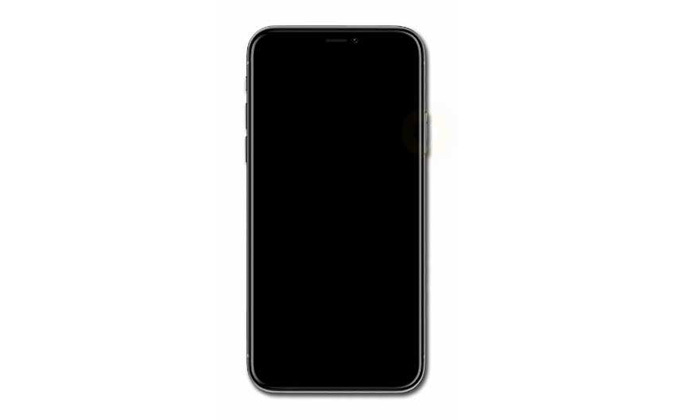 For iPhone 7 Series, you need to manage holding the 'Sleep/Wake' and 'Volume' button as long as the Apple logo does not appear on your iPhone's screen. Firmly hold and release down the 'Volume up' button. Then, repeat the same procedure with the 'Volume Down' button. After that, hold the power button till Apple logo does not display over your screen. If you are iPhone stuck on apple logo issue still persists, then the ultimate solution to this problem is using Any iOS System Repair. This tool can help you get out of this situation. The software is ideal for stuck issues related to iPhone including iPhone stuck on Apple logo, iPhone won't turn on, iPhone black screen, and many more. Here are the steps that need to be followed to solve iPhone stuck on Apple logo black screen issue. Another way to solve the issue is restoring the device in iTunes. Even though this solution is simple to use, the consequences of using this method are too grave. Users can get rid of any issue using this solution. On the other hand, they will lose all their data. Hence, if you have thought about this and are ready to take the risk, here are the steps that need to be followed. Step 1: Connect your iPhone to your PC and run iTunes. Step 2: While your device is still connected to the PC, force restart the iPhone. Step 3: After you force restart it, a screen will appear with "Update" or "Restore" option. You need to select "Restore" option. The process takes almost 15 minutes and your iPad will be wiped clean. In a nut shell, you just had look at the top 4 solutions that can help you if you are facing iPhone stuck on Apple logo beeping issue. You can charge the iPhone, force restart it, restore it in recovery mode. In the end, the ultimate solution that we recommend is using Any iOS System Repair (ReiBoot) as it can help to fix all system issues like Apple logo, black screen, recovery mode screen and more. Let us know your feedback by commenting below.